Mr. Carver has over 40 years experience in the Martial Arts. Mr. Carver began his Martial Arts training at the age of 10 under Sensei Curtis Hale in the art of Judo. 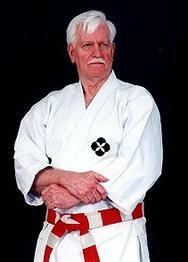 Only a few years later he began his study of Shihan-Ryu Karate and Ju-Jitsu under Sensei Bruce R. Bethers. Robert competed in both Karate and Judo tournaments in the 1970's and was several times the Oklahoma State Judo Champion. Robert was the Oklahoma State AAU Junior Olympic Champion in 1975, 1976, and 1977 and the AAU Regional Champion in 1976 and 1977. Robert competed at the AAU Nationals in 1977 where he placed third. 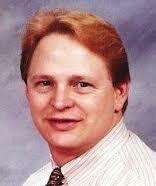 Robert was subsequently named the Oklahoma AAU Athlete of the Year in Judo for 1977. 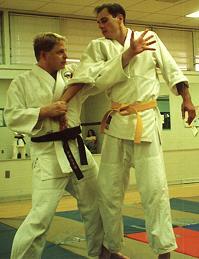 Robert was promoted to 1st Degree Black Belt in Judo, Karate and Ju-Jitsu in 1979. 1979 was a big year for Robert. He joined the United States Marine Corps and was subsequently stationed in Hawaii. Robert spent 13 years on active duty with the Marines and during this time continued to study a variety of Martial Arts and enhanced his knowledge of the Japanese Martial Arts. Some other arts studied include, Shorin Ryu Karate-do and Aikido while stationed in the Philippines and Okinawa, and later on, Minami Ryu Jujutsu and Seki-Ryu Ju-Jitsu. While stationed in South Carolina, Robert founded the Parris Island Karate Club and during the club's peak had approximately 40 students were members. Robert was also an assistant instructor at the GNO Institute of Martial Arts, where he shared his considerable Martial Arts experience. During his time in the Marine Corps, Robert was also tasked with teaching close combat to Marines and Sailors as well as to the Naval Auxiliary Security Force. 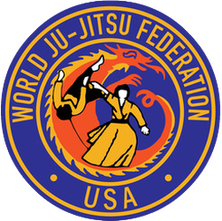 Since Robert's honorable discharge from the Marines in 1992, he has taken an active role in the United States JuJitsu Federation as its Vice President from 1999 to 2003, and Webmaster for the USJJF site. 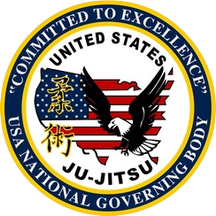 Now in his 36th year in the martial arts, Robert is an experienced martial arts leader and has been instrumental in the administration of the United States Ju-Jitsu Federation. A founding member of the United States Martial Arts Federation, Robert was elected as its first Vice President. Additionally, Robert is the Founder and Administrator of BudoSeek! Martial Arts Community, the internet’s oldest and most successful Martial Arts Portal. Robert, who is married to a member of the U.S. Coast Guard, is currently living in Baton Rouge, LA. He currently teaches at the Heiwashin Dojo in Baton Rouge, LA.